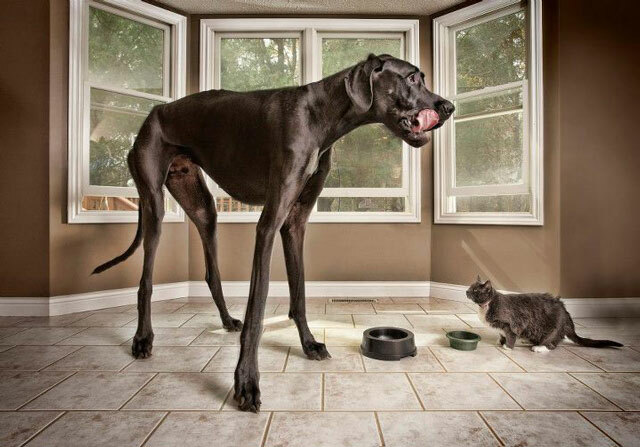 Michigan-based Zeus, a Great Dane, holds the Guinness World Record for ‘Tallest Dog‘. He measures in at 44 inches tall and weighs 155 pounds. In this video, his human companion Denise Doorlag describes her family’s enormous dog and some history behind his name. 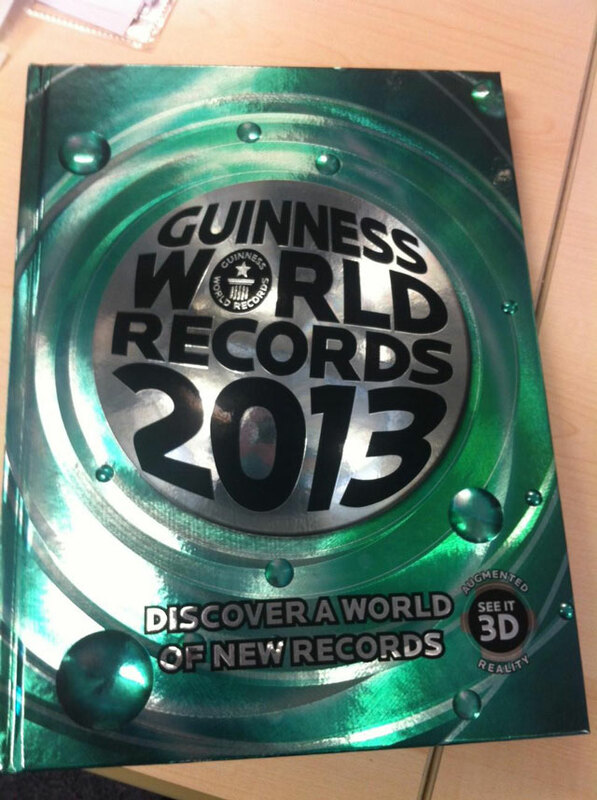 The 2013 edition of the Guinness World Records book is now available.